Odor Crushing Packs are two individual 2-pound packs. HOUSEHOLD PACKS—Twin Pack by N.O.G.C., Inc. These packs surge with Velcro, ribbon hanger loop in the top for easy opening. 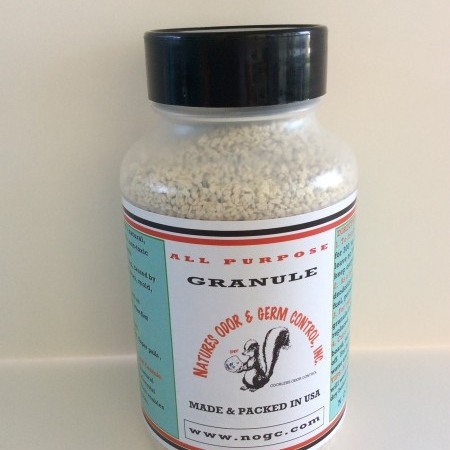 The two packs are filled with our larger pieces of our special blend zeolite rock for use in larger areas rooms up to 100 to 150 square feet, for autos, RV’s or where ever you have odor problems. 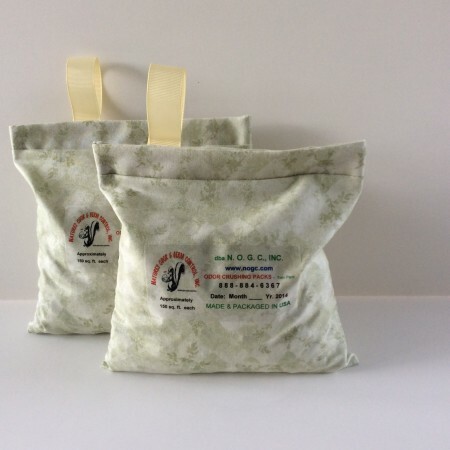 These environmentally safe packs work like a magnetic sponge, attracting and trapping airborne molecules and eliminating odors all over the house. A natural electric charge draws odors and moisture into crystal microchannels. The packs are perfect for dog rooms, particularly whelping rooms, and canine-carrying vehicles. Household packs can be “recharged” by setting them in direct sunlight. 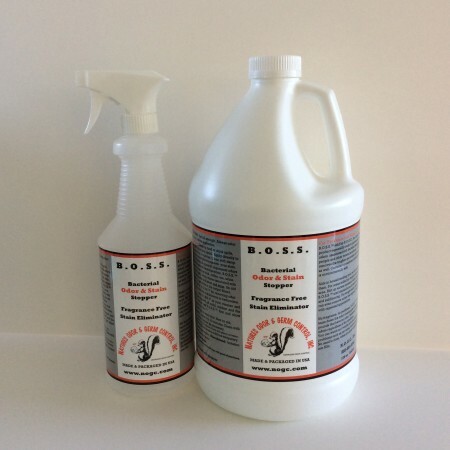 Works great on odors caused by smoke, pets, garbage, mildew, cooking foods, as well as chemical odors and gases associated with “sick building syndrome”, including formaldehyde, ammonia and hydrogen sulfide. 1. Place packs as close as possible to the source of the odor. 2. Allow some time for the packs to start working. 3. In kitchen – Place packs close to cooking odor. 4. In vehicles – place one to two packs under the seat for smoke and general odors. Wonderful mineral bath, no bromine or chlorine odors in water or on the body. Skin not dry or itchy. 6. Walk-in coolers – one pack for every 50 sq. feet to eliminate odors and prolong the shelf life of fruit and vegetables. 7. Basements – for musty odors in basements, cabins, etc. One Pack for every 150 square feet. Constant, severe, or ongoing odors may require more packs than average odors. For faster results, ventilate with a fan. For household, office, or store use, place 1 or 2 Packs per average size room (10 feet by 10 feet, to 10 X 15 feet). Place packs in a sunny location outside for two to three days, every two to three months. Packs will last on the average about one and a half to two years. It does not hurt the Packs to get wet. Packs are 9″ X 9″ with Velcro on the top of the twin packs to be able to open if needed. The ribbon hook is there to hang the packs up if desired and weigh approximately 4 pounds per set. Place packs as close as possible to the source of the odor. One set of N.O.G.C. Packs are recommended for each average size room.